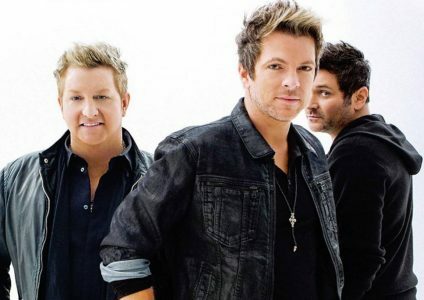 Rascal Flatts’ new Summer Playlist tour will be stacked with some of the most beloved bands in today’s country music. Lee Brice, Billy Currington, Jordan Davis, Jimmie Allen, Morgan Evans and LOCASH will join the trio for select dates on the new run starting May 16 in Cincinnati, Ohio. Jay DeMarcus announces a book contract with Zondervan for his debut memoir, Shotgun Angels: My Story of Broken Roads and Unshakeable Hope. Releasing April 2019. “I’m really looking forward to sharing a pretty personal look at my path so far, as that isn’t something I’ve done yet,” said DeMarcus. “In Shotgun Angels, readers will hear never-before-told stories and get a glimpse into what it was like for me coming from Columbus Ohio, my journey to Nashville. My ultimate goal is that the book will encourage people that no matter where they are in their lives, they can find hope, comfort and strength in their faith.” The story behind the music is set to release in April 2019.